For most women Lehenga Choli is not an everyday kind of clothing. It is the type of outfit that is worn to accentuate and show off, something that is more lavish than every day clothing. Whether you are donning Lehenga for a ceremony, a lavish party, or a wedding itis important that you create the full effect in order to do the outfit justice. You need the right footwear, accessories, make-up and of course theall-important hairstyle. With Lehenga Choli you cannot go out with everyday hair. Your morning routine will need to be different than the kind of hairstyle that you create for your job or school. This needs to be as noticeable as the Lehenga itself. No matter what kind of face you have, whether it thin or round there is a perfect hairstyle for you and we can help you find it. If you are looking for a look that demonstrates that is both casual and brassy, look no further than the side braid. 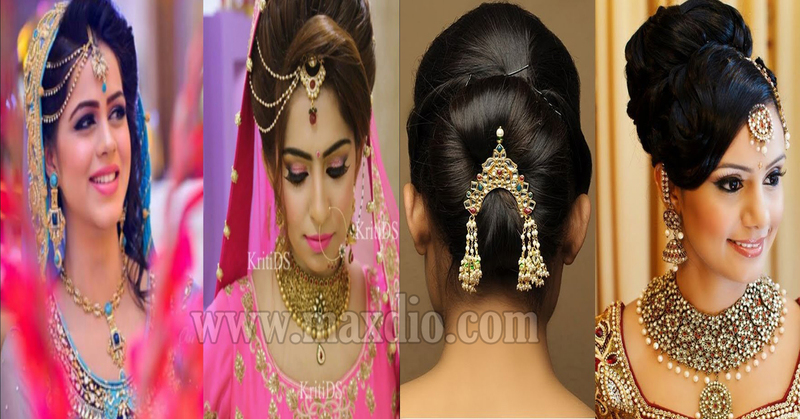 It is one of the more common hairstyles for Lehenga Choli but it has earned that status for a reason. It allows for a classy hairstyle that allows for a significant amount of variation on the part of the woman. With a side braid, there are plenty of options with the front of the hair. You can create a sexier look by creating bangs that are loose and wispier than traditional bangs, or for more formal occasions you can substitute the bangs with a decided puff up front. Another popular style is the open loose style. If you watch a lot of Bollywood movies you will notice this style is often the hair of choice for the performers. This simplistic look helps emphasize the garment you are wearing which can make it the perfect hairstyle for Lehenga. Most of the designs on the Lehenga are flowing and beautifully artistic, having an open hairstyle allows a symmetry between your hair and the skirt. Additionally, the practical component of a loose open style is that you have something to cover the skin of your back. Considering how much the Lehenga will be revealing, it is sometimes nice to be able to cover up. If you are looking for the most manageable style, look no further than the side part with curls. The part at the side is what makes this the most workable hairstyle as it allows you to keep your hair out of your face. If you are helping host a party or run an event removing the hassle of continuous hair maintenance is absolutely key. Now although this is very practical, it is by no means dull or inelegant. By pinning up the hair at the part and curling the rest to fall over one shoulder you allow for a stylish night while you go about completing your work. 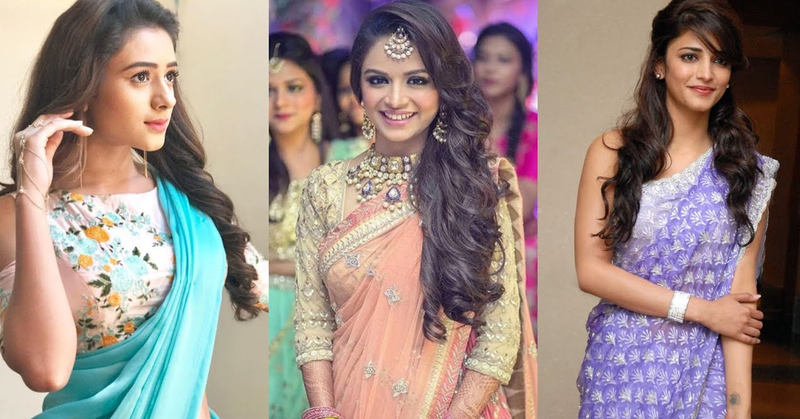 A lot of people have a hard time finding a Lehenga hairstyle for hairsround face, but contrary to popular belief, there are quite a few. Having a rounder face can actually make you quite lucky when it comes to finding the right style. The key to finding a perfect style no matter the face is a balance between length and width. Fortunately for people with curved faces, they are already more symmetrical meaning that the work needing to be done to get that perfect balance is a lot easier than you might think. One of the best choices for those of use with a rounder face is some college pigtail braids. Now there is a common misconception out there that braids go horribly with a round face. But I am here to tell you that it is just that, a misconception. Braids actually have the ability to do wonders for women with a round face, especially while wearing a Lehenga. Using a high three or four-strand braid helps in elongating the face, which helps to partially remove the concern for the night out or even that you are attending. Additionally, the college style for these pigtail braids make you look tough and sassy. 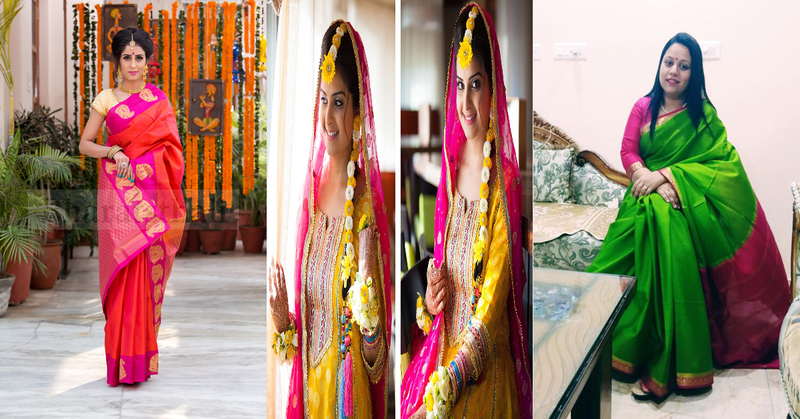 The versatility of hairstyles for Lehenga that exist to choose from when wearing can at times be overwhelming. Finding the perfect mixture of stylish and sensual will differ from person to person, but the options here can be your answer, or at least a start to your journey. When you are done your hair will be just as striking as the Lehenga you are wearing.